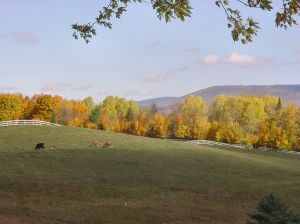 Vermont has many scholarships and grants available to graduating high school seniors, undergraduates and graduate students. Many of these scholarships are administered by a centralized organization called the Vermont Student Assistance Corporation (VSAC). Scholarships managed by VSAC require only one completed application. That application will be used for all scholarships managed by VSAC. Other scholarships require individual applications. The assortment of scholarships and grants listed here are just a taste of what is available for Vermonters who want to pursue advanced education. The Burlington Veterans’ Club awards at least one scholarship each year. The amount of the award varies from year to year. This scholarship is open to graduating seniors of a high school in Chittenden County, Vermont. For more information contact the Vermont Student Assistance Corporation, PO Box 999, Winooski, VT 05404, 1-800-798-2722 or 1-802-655-4050. Visit VSAC’s website at www.vsac.org/. At least one scholarship between $1,000 and $3,000 will be awarded to a student who has shown outstanding commitment to his or her community and who lives in Charlotte, Hinesburg or Shelburne. Contact Vermont Student Assistance Corporation, PO Box 999, Winooski, VT 05404, 1-800-798-2722 or 1-802-655-4050. Visit VSAC’s website at www.vsac.org/. This $1,000 scholarship is awarded to one former 4-H student pursuing secondary education. The recipient must live in Orleans County, show financial need and have been actively involved in 4-H. Contact Orleans County Cornell Cooperative Extension County agent at 585-798-4265 or email orleans@cornell.edu for more information. At least one scholarship of $1,500 is awarded by the Jericho-Underhill Lions Club to a resident of Bolton, Huntington, Jericho, Richmond or Underhill, Vermont. The recipient must show financial need, academic excellence, commitment to community service and good citizenship. This scholarship is managed by Vermont Student Assistance Corporation, PO Box 999, Winooski, VT 05404, 1-800-798-2722 or 1-802-655-4050. Visit VSAC’s website at www.vsac.org. A minimum of one scholarship up to $1,000 is awarded each year by the Ludlow Veterans of Foreign Wars Post 10155. 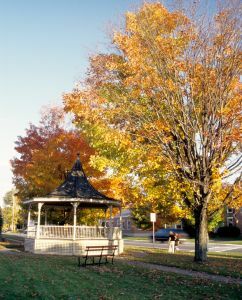 Recipients of the award must live in the towns of Ludlow, Canvendish, Plymouth or Mount Holly, and show financial need. Preference is given to children or grandchildren of people who served in the military. This scholarship is administered by Vermont Student Assistance Corporation, PO Box 999, Winooski, VT 05404, 1-800-798-2722 or 1-802-655-4050. VSAC website is at www.vsac.org. At least one scholarship between $500 and $3,000 is awarded to a resident of Norwich, Vermont, who demonstrates financial need. For more information contact the Norwich Women’s Club at P.O. Box 191, Norwich, VT 05055, or email info@NorwichWomensClub.org or visit http://www.norwichwomensclub.org/scholarships.html. Applications can be obtained from Vermont Student Assistance Corporation, PO Box 999, Winooski, VT 05404, 1-800-798-2722 or 1-802-655-4050. Visit VSAC’s website at www.vsac.org. This $1,200 scholarship is awarded to one student who resides in Addison County, Vermont, who demonstrates financial need and is studying to be a nurse. Contact Ron Hallman at 1-802-388-4744 or at rhallman@portermedical.org for more details. One $500 scholarship is awarded to a Vermont graduating senior who is studying agriculture. The recipient must show academic achievement, financial need and a willingness to do community service. For more information contact Vermont Student Assistance Corporation, PO Box 999, Winooski, VT 05404, 1-800-798-2722 or 1-802-655-4050. Visit VSAC’s website at www.vsac.org. One $500 scholarship is awarded to a high school senior who shows academic achievement, financial need and who plans to pursue a degree in the social sciences, including, but not limited to, economics, criminology, sociology, urban studies or social work. Preference is given to students who are dependable and show leadership. For an application or more information on this scholarship contact the Vermont Student Assistance Corporation, PO Box 999, Winooski, VT 05404, 1-800-798-2722 or 1-802-655-4050. This $1,500 scholarship is awarded to one college junior, senior or graduate student who is studying horticulture or other plant/ecology areas. The scholarship winner must be a full-time college student, have at least a 3.0 grade point average, demonstrate financial need and participate in extra-curricular activities. Students who have been awarded this scholarship previously can reapply. The National Garden Club offers a separate $4,000 scholarship. Download an application for this scholarship online. Two $500 scholarships are awarded to students pursuing an education in visual arts, who demonstrate academic achievement and show financial need. The recipients of these scholarships must have lived in Vermont for a least two years at the time of the award. This scholarship is managed by the Vermont Student Assistance Corporation, PO Box 999, Winooski, VT 05404, 1-800-798-2722 or 1-802-655-4050. Visit the Vermont Hand Crafters website at www.vermonthandcrafters.com. This scholarship is awarded to a single-parent head-of-household who demonstrates financial need. The award is between $500 and $1,000. The recipient must live in one of the following counties: Addison, Chittenden, Franklin, Grand Isle or Lamoille. Vermont Student Assistance Corporation, PO Box 999, Winooski, VT 05404, 1-800-798-2722 or 1-802-655-4050. This $1,000 scholarship is awarded to a female over the age of 25 who is planning to attend college and earn a degree in a science or technology field. She must also demonstrate financial need. Applicants must live in one of the following counties: Addison, Chittenden, Franklin, Grand Isle or Lamoille. This scholarship is administered by Vermont Student Assistance Corporation, PO Box 999, Winooski, VT 05404, 1-800-798-2722 or 1-802-655-4050. This is a $1,000 scholarship awarded to one or more active EMS members, as well as his or her spouse or dependents. The recipient must be on (or related to) a Vermont ambulance or first responder squad in Addison or Chittenden County, show financial need, academic achievement and community involvement. For more information contact the Vermont Student Assistance Corporation, PO Box 999, Winooski, VT 05404, 1-800-798-2722 or 1-802-655-4050. NCFCU awards up to 15 scholarships of a maximum of $2,000 each to a northern Vermont student living in one of the following counties: Addison, Caledonia, Chittenden, Essex, Franklin, Grand Isle, Lamoille, Orange, Orleans or Washington County. The recipient must also show that he or she has overcome a major challenge or obstacle, show excellent academic achievement, as well as community involvement. For more information contact the Vermont Student Assistance Corporation, PO Box 999, Winooski, VT 05404, 1-800-798-2722 or 1-802-655-4050. The credit union’s website is at www.northcountry.org/home/about. Two scholarships of $500 each are awarded to Vermont residents who want to pursue a college degree in accounting. Recipients must live in one of the following counties: Addison, Chittenden, Franklin, Grand Isle, Lamoille or Washington. They must also show financial need, as well as academic excellence. For more information and an application call or write to the Vermont Student Assistance Coorporation, PO Box 999, Winooski, VT 05404, 1-800-798-2722 or 1-802-655-4050. One $5,000 scholarship is awarded to a student living in one of the eight towns served by Shoreham Telephone Company: Benson, Castleton, Cornwall, Hubbardton, Orwell, Shoreham, Sudbury and Whiting). Applicants must demonstrate financial need, school and community involvement and excellent academic achievement. For more information contact the Shoreham Telephone Company business office at 1-802-897-9911 or the Vermont Student Assistance Corporation PO Box 999, Winooski, VT 05404, 1-800-798-2722 or 1-802-655-4050. This $2,500 scholarship is awarded by the Vermont chapter of the American Institute of Wine and Food to encourage students who live in Vermont to attend culinary school. Applicants must demonstrate financial need. This scholarship is administered by Vermont Student Assistance Corporation, PO Box 999, Winooski, VT 05404, 1-800-798-2722 or 1-802-655-4050The AIWF website can be seen here. One or more scholarships up to $1,250 each are awarded to a student currently working towards earning a certificate or license in special education administration. Recipients must have at least a 3.0 grade point average. To apply contact Vermont Student Assistance Coorporation, PO Box 999, Winooski, VT 05404, 1-800-798-2722 or 1-802-655-4050. One $1,000 scholarship is awarded to a dependent of an active police officer who is a member of the Vermont Police Association. The recipient of the award must demonstrate financial need. This scholarship is administered by the Vermont Student Assistance Corporation, PO Box 999, Winooski, VT 05404, 1-800-798-2722 or 1-802-655-4050. A $1,000 scholarship is awarded to a deserving student in honor of William Graham. The recipient of this scholarship must be a dependent of a member of the Vermont Sheriff’s Association, show academic success, financial need and community involvement. For more information or to apply, contact Vermont Student Assistance Coorporation, PO Box 999, Winooski, VT 05404, 1-800-798-2722 or 1-802-655-4050. One award in the amount of $1,000 is available to a student working towards a degree in piano pedagogy or music education. For more information or to apply for this scholarship, contact Vermont Student Assistance Coorporation, PO Box 999, Winooski, VT 05404,1-800-798-2722 or 1-802-655-4050. Two scholarship awards between $2,500 and $5,000 are made to college juniors or seniors working towards a bachelors degree. Applicants must be residents of Orleans County, Vermont, show academic excellence and demonstrate financial need. This scholarship is administered by VSAC. For more information or to apply, contact Vermont Student Assistance Coorporation, PO Box 999, Winooski, VT 05404, 1-800-798-2722 or 1-802-655-4050, or visit the website at http://www.vsac.org/. One $1,000 scholarship is awarded to a student seeking post-secondary education in a social science field, including, but not limited to, archeology, criminology, geography, international relations, philosophy, political science or urban studies. Recipients must show academic achievement and financial need, as well as community involvement. They are encouraged to attend Plymouth Old Home Day at the President Calvin Coolidge State Historic Site to be recognized by the foundation. For more information contact Vermont Student Assistance Coorporation, PO Box 999, Winooski, VT 05404, or call 1-800-798-2722 or 1-802-655-4050. The Calvin Coolidge Memorial Foundation, Inc., can be contacted at PO Box 97, Plymouth, Vermont 05056, 1-802-672-3389 or visit the website at www.calvin-coolidge.org. At least one scholarship between $3,500 and $7,000 is available for the child of a member of any branch of the military, including the National Guard, who is a resident of Vermont and who demonstrates financial need. Military and Guard members must currently be serving or be veterans of Operation Enduring Freedom or Operation Iraqi Freedom. Preference is given to applicants whose parent was killed, permanently disabled or wounded while serving. For further details or to apply for this scholarship, contact the Vermont Student Assistance Coorporation, PO Box 999, Winooski, VT 05404. Phone: 1-800-798-2722 or 1-802-655-4050. This grant is awarded to students from Vermont who are planning to pursue a full-time college program leading to a first bachelors degree. Students attending the University of Vermont College of Medicine or who are working towards a doctorate in veterinary medicine are also eligible for this grant. Recipients must show financial need. Grants vary from $700 to $11,200, depending on need. To apply for this grant, applicants must complete the FAFSA form and a grant application form. Online applications are available online. This grant is awarded to students from Vermont who are pursuing a college degree on a part-time basis, taking fewer than 12 credit hours. Recipients must show financial need. The amount of the award varies, depending on student circumstances. To apply for this grant, applicants must complete the FAFSA form and a grant application form. Online applications are available online. Students pursuing their post-secondary education at a vocational or technical school are eligible to apply for this grant. The amount awarded is determined each year by VSAC. In addition to the scholarships and grants listed here, money is available from the federal government in loans and grants. Colleges and universities also offer their own scholarships. So, when applying for financial aid make sure you take the time to apply to all available aid. It can be time consuming, but makes a big difference in your bottom line. I am going to start online college for business management August 27th. I am the first grandchild to graduate high school, and the first out of my whole family to peruse college. I am looking for some kind of grants, scholarships, or financial aid, but am not really sure what to do.